Commission for the Colma Japanese Cemetery. Colma, Ca. Granite, one ton block and granite lotus pedestal. 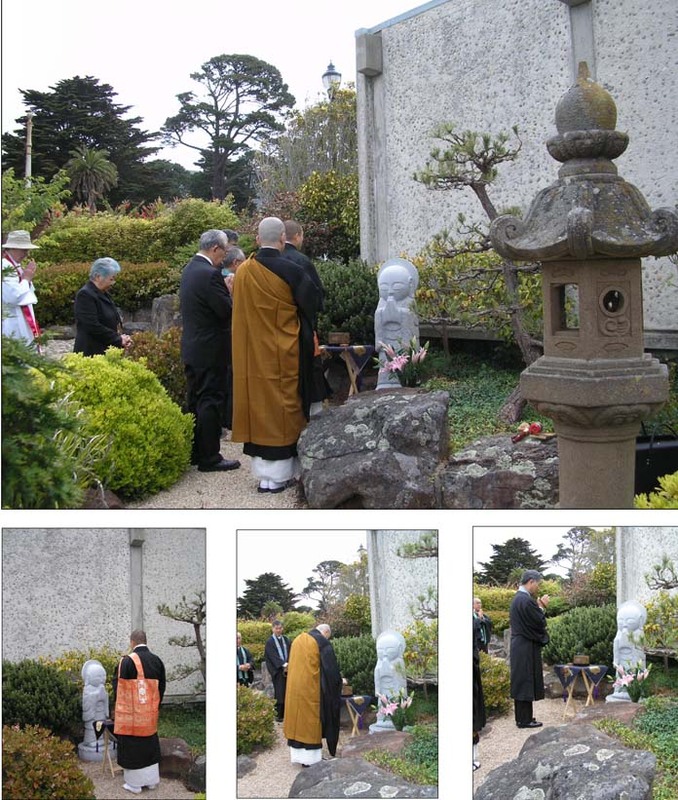 A ceremony to dedicate the stone Jizo sculpture created by Japanese American artist Thomas Matsuda was held on May 26, 2008 at the Japanese Cemetery in Colma, California. The dedication was held prior to the 57th Annual Community Memorial Day Service sponsored by the Japanese Benevolent Society of California. Participating in the dedication service were members of the Buddhist Federation with Buddhist chanting led by Reverend Yushin Uratani accompanied by Reverend Kikoh Tatedera, Reverend Hiroshi Abiko and Reverend Ronald Kobata. Representing the Christian Federation was Reverend Emery Fleming-Hasegawa. Prayer offerings were given by Eddie Moriguchi, President and Seiko Fujimoto, Executive Director of the Japanese Benevolent Society of California, which is the non-profit organization overseeing the care of the Japanese Cemetery in Colma. 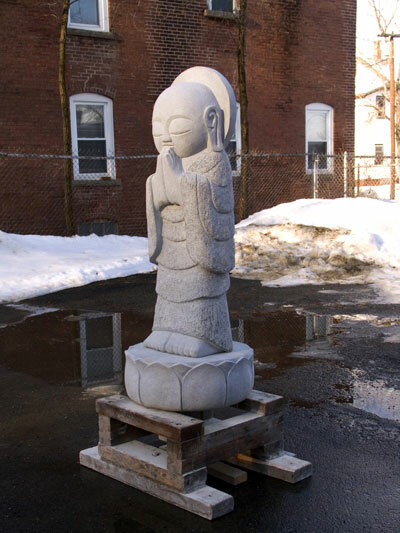 In Japan, Jizo is one of the most popular bodhisattvas – an enlightened being – and is believed to be the protector of children, women, and travelers. According to a spokesperson for the Japanese Benevolent Society of California, the Jizo statue at the Japanese Cemetery in Colma was donated anonymously by a benefactor in Japan.